…and how you can train at home for big earnings in the world’s newest, most exciting profession. 50,000 more programmers needed now! 500,000 more will be needed in a few years! If you’re dissatisfied with your present job, why don’t you become a programmer? So great is the demand for programmers, you’ll have your choice of openings, with a growing future ahead. For the vast majority of good positions, a high school education, a logical mind and the right preparation are all that are required. 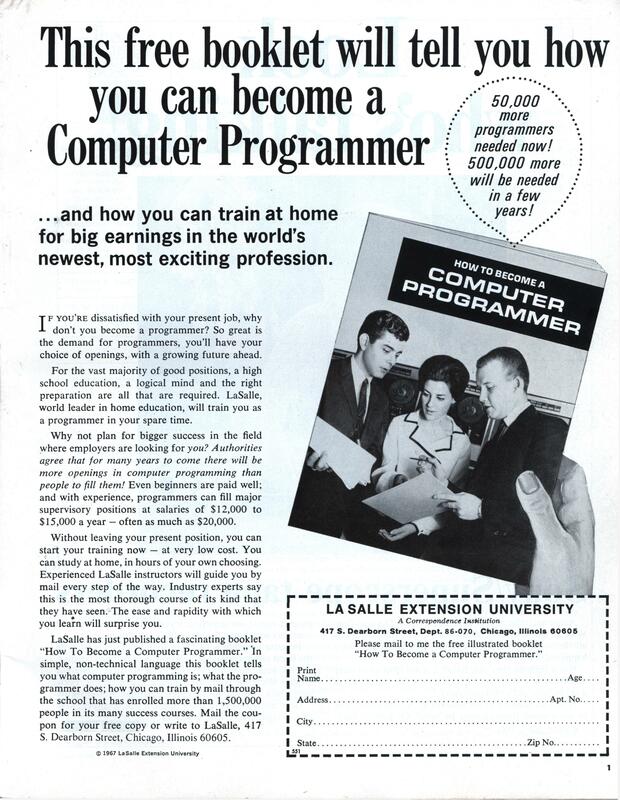 LaSalle, world leader in home education, will train you as a programmer in your spare time. Why not plan for bigger success in the field where employers are looking for you? Authorities agree that for many years to come there will be more openings in computer programming than people to fill them! Even beginners are paid well; and with experience, programmers can fill major supervisory positions at salaries of $12,000 to $15,000 a year – often as much as $20,000. Without leaving your present position, you can start your training now — at very low cost. You can study at home, in hours of your own choosing. Experienced LaSalle instructors will guide you by mail every step of the way. Industry experts say this is the most thorough course of its kind that they have seen. The ease and rapidity with which you learn will surprise you. LaSalle has just published a fascinating booklet “How To Become a Computer Programmer.” In simple, non-technical language this booklet tells you what computer programming is; what the programmer does; how you can train by mail through the school that has enrolled more than 1,500,000 people in its many success courses. 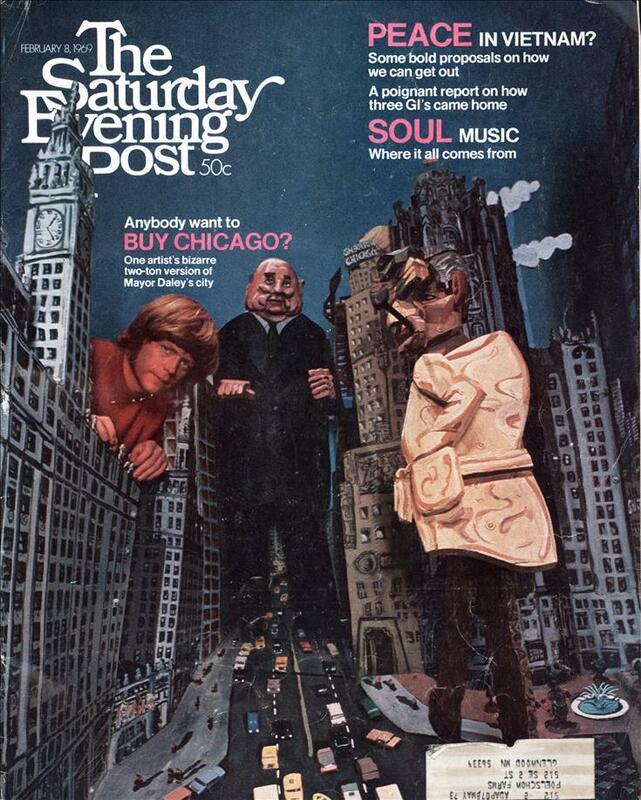 Mail the coupon for your free copy or write to LaSalle, 417 S. Dearborn Street, Chicago, Illinois 60605. I’m sure there’s an ap for that. I tried that for a while; didn’t work out and I’m back in hardware. An ap for a diploma mill? $20k is _still_ a lot for a programmer.